The majority of the big, small and medium businesses moved their infrastructure to cloud for agility, scalability, availability and cost reduction. Every organization uses some kind of software to automate and troubleshoot their infrastructure when something goes wrong. AWS automates the server provisioning using auto scaling service using the cloud watch metrics. But let’s say you have a DB instance and its storage exceeds 80% and you want to increase the storage capacity. You cannot automate this process with any of the AWS services. Here is where finally.io comes in to play. Finally.io is a SaaS application which lets you set checks and conditions on AWS EC2, RDS, and Dynamo DB to automate the processes of increasing size of DB, restarting and stopping instances.You can also do application resiliency test like chaos monkey using finally.io. You can start and stop instances once in a week, day or in an hour to check you application resiliency. Finally.io does not do the work of configuration management tools like chef or puppet but it monitors the existing EC2, RDS, and Dynamo DB resources and takes actions based on the rules you create. Go to finally.io and signup for an account. Finally.io does not have any free subscriptions but it provides a 14 days trial account which does not need any credit card. Once you are signed up you will see a pop up to enter your AWS credentials. 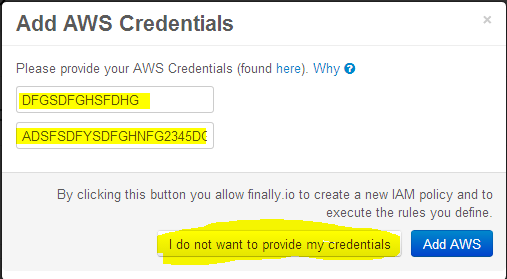 Fill in the credentials and click add AWS. If you do not want to give your existing AWS credentials you can set up a new user for finally.io using IAM. 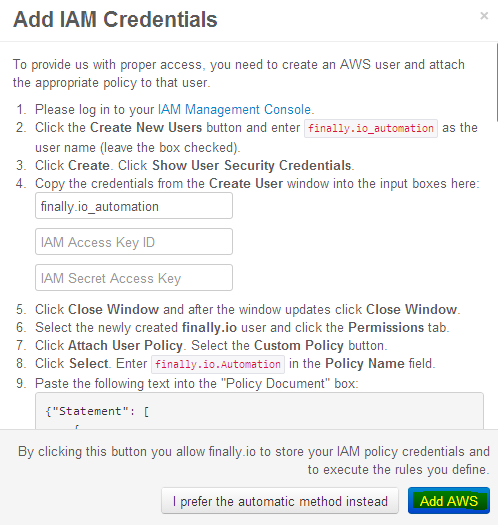 If you click “I do not want to give my credentials” option, it will give you the IAM policy and username to create a new finally.io user to access you aws resources. Once the credentials are saved, go to dashboard automation panel. Automation panel has few drop-down menus, using which you can set conditions and actions to take place if a particular condition is met. For example, you can set an ec2 instance to restart if its CPU utilization goes beyond 85%. 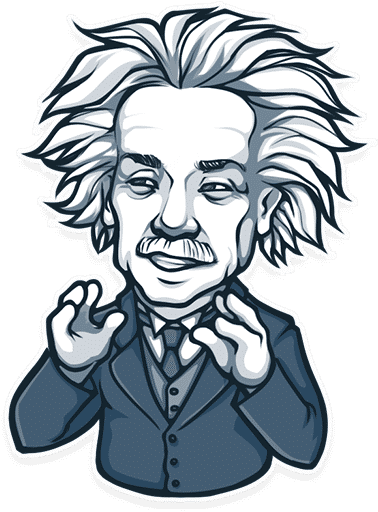 You can also set conditions like, if your DB instance storage is utilized above 85%, it should increase the storage to 25% of the initial storage. Following figure shows the available metrics for conditions. Application resiliency can be checked using the 3 chaos options. This option will randomly stop or restart your instances. It acts like Netflix chaos monkey. So if you have few instances in auto scaling group and if you want to check the application resiliency, you can use the chaos option. Apart from automation, it also provides monitoring for EC2, EBS, RDS and Dynamo DB on certain parameters. 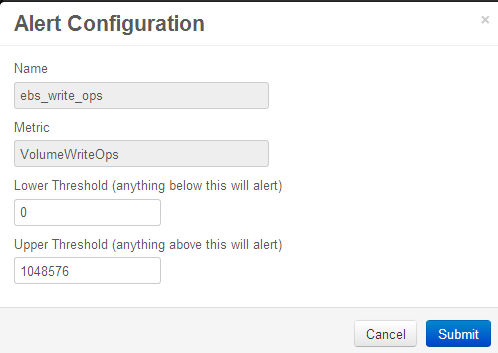 For example, you can enable monitoring for EBS to write operations. You can set a minimum and maximum value. If you enable that metric, you will receive alerts when the writes go below the minimum value and when it goes beyond the threshold value. As of now finally.io has support for AWS and new relic. Finally.io can be used for automating and monitoring application with medium complexity because application architectures will contain other components which has to be monitored and alerted when something goes wrong. Hopefully, they will add more features in the future. Kindly share the article and leave your feedback in the comments section.